Janice A. Merkel, 68, of Spring Valley, MN died unexpectedly on Friday, January 18th, 2019 at St. Marys hospital in Rochester, MN. Janice Ann Merkel was born in Minneapolis, MN on October 20th, 1950 to Claus and Della (Kaerls) Ubben of Blue Earth, MN. On July 22nd, 1972, Janice was married to Leslie Harold Merkel. Together Janice and Leslie had three girls, Sara, Stephanie, and Abbie. 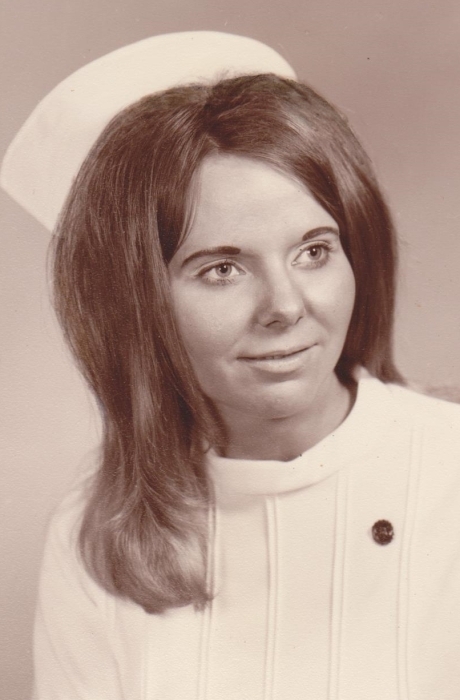 Janice worked as a Licensed Practioner Nurse (LPN) at Methodist Hospital in Rochester, MN. She was later employed at Duebers in Spring Valley. She farmed as a partner and milked dairy cows for 33 years with her husband. Janice was a Girl Scout leader and later served on the Girl Scout Council. She volunteered as a Band Mother and enjoyed gardening and caring for house plants, morel hunting, putting puzzles together and spending time with her family. Janice is survived by her husband Leslie Merkel of Spring Valley; her daughters Sara (Lee) Cronkhite of Cedar Falls, IA; Stephanie Merkel of Minneapolis, MN; Abbie (Frank) Romero of Gardena, CA; and five grandchildren, Siggy, Frank, Olivia, Chloe and Josefina. She was preceded in death by her parents Claus and Della Ubben. Private family services for Janice Merkel will be held Thursday January 24, 2019. A public visitation will follow from 5-7 P.M. at the Hindt Funeral Home in Spring Valley.